Nine years ago, a NPR interviewer asked me about Google and other U.S. companies censoring search results in China. The question was one of morality -- to which I gave answer she didn't expect. That response, or my recollection of it, is appropriate for rather ridiculous and self-serving statements that Apple CEO Tim Cook reportedly made two days ago. "We believe that people have a fundamental right to privacy", Cook said, Matthew Panzarino reports for TechCrunch. "The American people demand it, the constitution demands it, morality demands it". Oh? What is moral? The answer I gave NPR in 2006 applies: There is no moral high ground in business. The high ground is quagmire, because all public companies -- Apple surely among them -- share a single, moral objective: Make profits for stockholders. Plain, pure, and simple. Cook reportedly slammed the U.S. government about an "attack on our civil liberties" -- "the battle over encryption". He offhandedly referred to Google and other tech companies giving away products or services for free: "They’re gobbling up everything they can learn about you and trying to monetize it. We think that’s wrong, and it’s not the kind of company that Apple wants to be". Cook claims the moral high ground but to what end? I tell other reporters to first ask about everything: Who benefits? Applying that question tears apart Cook's reported statements made on June 1 during the Electronic Privacy Information Center "Champions of Freedom" event. U.S. law essentially treats businesses like people, which is cockeyed since the moral and legal ethics that apply to people are often undermined by the ethics of public companies. Means to end, the end being profits, is justification for lots of misdeeds. The measure that applies to Cook's statements at the EPIC event, or any other elsewhere: How does Apple and its shareholders benefit? Morality begins and ends there. Cook's accusations remind me of the Three-card Monte grifters I see on the streets of Manhattan. He plays a game of promise, distraction, and gimme. The promise is one of higher morality -- he and Apple share the same beliefs about privacy rights that most Americans presumably do. Really? By the moral measure of profits for shareholders first, there is another viewpoint: Raising the company's image as do-gooder, which attracts sales and ensures profits. 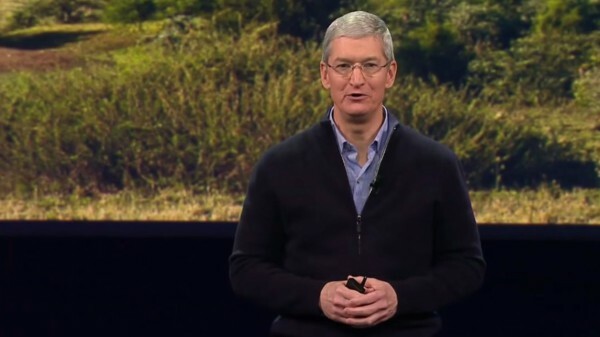 Late morning, I told my BetaNews colleagues in group chat: "On Tim Cook, he is an opportunist. Timing of his comments coincide with Senate vote on curtailing government's spying powers". Encryption is part of the debate, one which Cook surely would like to sway. Think about it. Realistically. Who benefits more from blocking government back-door access that breaks tough encryption? You and your privacy? Or Apple's? Companies like Cook's are super-protective about trade secrets. They don't want government snooping on them. Just to allow government the ability to break encryption reveals valuable intellectual property, while exposing the company (and others) to future further interference in operations and opening way to public image disasters when private information is disclosed and the act is publicly revealed -- something that can unsettle shareholder confidence and compromise product sales. To reiterate about his privacy statements: That's shareholder-first morality. I see many recent public commentaries and interviews attributed to Cook singularly: Presenting Apple as the moral authority in line with the common good. Timing of his coming out as gay is one example (for which some commenters will slam me for even suggesting; that's your problem). Many other, recent non-product public announcements from Apple or related to its CEO carry an air of moral branding, such as: $50 million donation for diversity; Cook's Washington Post anti-discrimination commentary; or his George Washington University commencement speech, where he asserts: "We believe that a company that has values, and acts on them, can really change the world -- and an individual can, too. That can be you". Tying Apple's so-called morality to those of graduating students -- and anyone watching the speech on YouTube -- is endearing and aspirational. But it's as much marketing, if not more. Tim Cook may be a moral man, by my definition or yours. But as CEO of a public company beholden to shareholders, he ultimately answers to another moral authority. Being the do-gooder isn't enough. There must be an enemy. That's the distraction. I also told my colleagues: "Google and Facebook give away things that Apple must sell -- why he goes after them, even unnamed". Their business models, particularly expanding into mobile devices, threatens Apple's future profits, which is almost unbelievable given four years of earth-moving sales and a cash horde approaching $200 billion. Later, I read several comments to Mark Wilson's news story about Cook's statements that coincide with my thinking: "Apple can take this stance more easily because it sells hardware", Boltmanisnuts contends. "Any information they collect they want to keep to themselves and not share it because it helps them make better choices". Jack Bnimble adds: "Google and Facebook essentially have no tangible products. Your information is their products". But Google, particularly, makes platforms around which other companies sell products that directly compete with Apple's. During last week's developer conference, Google claimed: The number of Android users has reached 1 billion; eight out of 10 smartphones sold in 2014 used Android; in the year since last I/O, there have been 600 million new Android users. Corroboration: During first quarter 2015, based on smartphone shipments, Android share reached 78 percent -- up from 59.2 percent three years earlier, according to IDC. During the same time period, iOS fell to 18.3 percent from 22.9 percent. That said, year over year, Apple's platform recovered some share from Google's. Meanwhile, Chromebooks make surprising gains in one of Apple's core markets: Education. Gartner says that the majority of sales, 72 percent last year, go into the segment, which is among Apple's longstanding cores. If Google platforms power all these devices, but the company is an evil snoop invading your privacy and selling it for profit, then Cook's implied advice is clear: Don't buy their crap. Choose gold from Apple, which protects your privacy and aligns with your values. But, to again repeat, the moral standard that he really espouses is something else: Protecting his company's shareholder profits. In Three-card Monte, a plant in the crowd wins, while real onlookers lose. Promise and distraction. The Gimme is the last bit to this moral marketing charade. Apple wants your money -- and what company doesn't? That's capitalism. So be a capitalist, Mr. Cook. Don't pretend to be something else. If you buy into the Apple image -- the brand and recent reinventions around social values -- then the company gets your money. You pay more for Macs than Chromebooks or Windows PCs and you preserve the subsidized smartphone business model. Remember: That $199 you pay for 16GB iPhone 6 is an illusion, like the $20 bill under the Three-card Monte cup on the street. Cellular carriers pay $649 for that phone and recoup costs over time from your service commitment. For consumers whose values include saving money, subsidized mobiles are an affront. Apple and Tim Cook put shareholders first by ensuring quarterly profits, rather than truly serving customers. The agendas contradict. That's fine, It's capitalism. Let's just not pretend this other ethical priority is something else, or more than it really is. Meanwhile, Apple's morality marketing distracts from the company's own human-rights violations with operations in China; U.S. tax avoidance, antitrust oversight, increasing security vulnerabilities affecting its platforms (examples iCloud, iOS, OS X), or cloud services shortcomings compared to rivals like Amazon, Facebook, Google, or Microsoft. Apple's privacy position -- all without showing clearly what the company does different or better -- seeks to distract from the latter. The first three directly deal with moral issues where many average Americans might disagree with Apple's actions. Cook and Company shift the moral narrative to one they control -- clever marketing behind the promise, distraction, and gimme; kudos for savvy capitalism, Apple. But are these values that will change the world? You tell me.